The Grand Manan Art Gallery displays work by professional and emerging artists from Grand Manan Island, the Bay of Fundy region and from further away. We are a seasonal gallery, and our exhibits begin the first week in June and run until the third week in September. Each show is 12 to 19 days in duration, with a Saturday night opening and reception. Selections from our Permanent Collection are also on display throughout the season. We welcome submissions from artists. 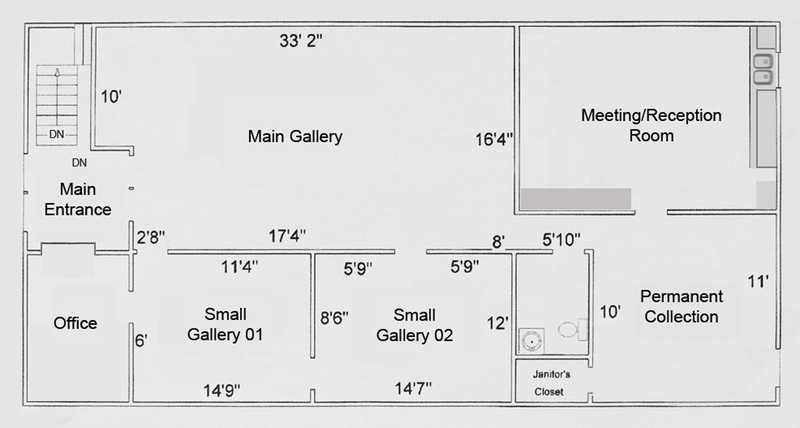 Requests to exhibit should include the title or theme of your exhibition, your artist statement, biography, samples of work you proposes to exhibit (as JPEG or TIFF files), and an indication of your space requirements (see floor plan below). Requests may be sent to the Exhibition Committee in care of Carole Forbes (caroleforbes65@yahoo.com), or mailed to the Grand Manan Art Gallery, 21 Cedar Street , Grand Manan, NB, EG2C3. All submissions must be received by October 31. The terms under which the Gallery agrees to exhibit an artist’s work are outlined in our Consignment Agreement.